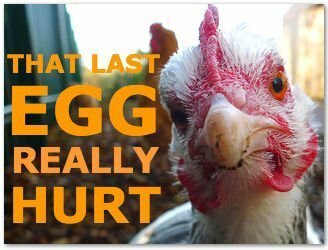 According to this ITN news broadcast on You Tube, there is a chicken in Guizhou, China, that lays enormous eggs that, unbelievably, contain yet more eggs. It’s most bizarre! Before you watch the video clip, read the simple instructions below the video on how to complete the quiz. What’s got the locals talking and the news crews excited? The eggs are 3 times the size of normal ones. How much do they weigh? What did they find inside the egg when they cracked it open? What does the little boy try to do? How old is the woman who owns the monster chicken?